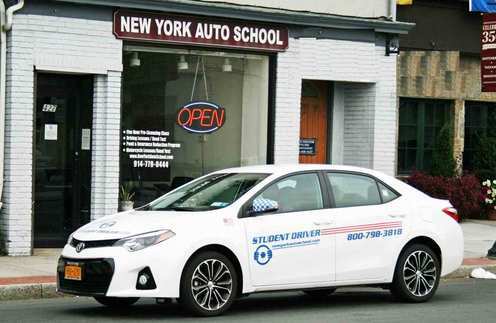 The Five Hour Pre-licensing MV-278 is a DMV-designed classroom-only course required for any driver looking to obtain a New York State Driver's License regardless of applicant's age. Driver's Education Certificate MV-285 holders are exempt from taking this course. For many students, this course is the only formal opportunity to learn the basic rules of the road, safe driving principles, defensive driving skills, and other factors which affect safety while driving. * Students who successfully complete this course will receive a Certificate of Completion MV-278 immediately and will be able to schedule a Road Test Appointment. The Original Photo Learner Permit is the only acceptable form of identification. The Five Hour Pre-licensing MV-278 Course educates New York State new drivers by promoting safe, courteous, defensive and alcohol/drug-free driving.